Soccer can affect lives on a national and international scale, inspiring revolutions and causing wars as well as having the capability to create peace and lift entire nations. As Anglophone Cameroon’s War of Federation and/or Independence continues with Ghost town strikes, the Cameroonian national team called up for the first time in history three soccer players from English Cameroon to participate in the ongoing Afcon 2017 Competition. These players include Clinton N’jie, Collins Fai and Robert Ndip Tambe. Although citizens of the french speaking area of Cameroon say little or nothing about the anglophone crises, they feel that the country has major issues, especially regarding development, Jobs, discrimination and much more importantly Paul Biya’s Long stay in power as president and this has stemmed anger and complaints. Most citizens have complained that the issue of Cameroons very long unsuccessful soccer campaigns goes beyond the quality of players and has to deal with bad government corruption. The national team has always been blessed with good quality players but for one reason or another, they don’t win trophies and their campaigns always end in shambolic wins. A loss tonight might spark protest because apparently, Francophones are still looking for reasons to join in the Anglophone crises, and this might just be a huge one. Though the current national team has been successful reaching this stage at the AFCON, the beginning was controversial; people asked why super talented players like Song Alexander, Joel Matip, Tchoupou Mounting, Stephane Mbia were not called to participate. These players have been the backbone of the Cameroonian National team for the past years now and players like Joel Matip and Tchoupou Moting are at their apex forms. Rumors have it that some of these players denounced their participation due to the fact that with their level of experience, the captainship was handed to a less experienced player; Benjamin Moukandjio who is known for creating a huge controversy between him and Assou Ekotto at the last 2014 world cup in Brazil. It’s obvious that a loss can spark protest but we pray they make it to the Finals. The Indomitable Lions are facing the Black Stars of Ghana today Thursday. Their clash will be played in the Franceville Stadium in the second semi-final game of the Africa Cup of Nations, Gabon 2017. Both sides are going into this encounter with a lot of ambition since the two sides have gone for a pretty long time without tasting the ultimate glory of the tournament. Coming this close only makes the “appetite” for the trophy bigger – and the game promising to be exciting. This is the fourth time these teams have met in Africa Cup of Nations since the 1970s. Each side has won once and they both picked up a draw twice. Cameroon won the Africa Cup of Nations trophy twice in a row at the turn of the millennium. But three of their last four appearances have seen them exit at the quarterfinals, while in 2015 they didn’t make it out of the group stage. Ghana has been at the semi-finals in the past five editions of the Africa Cup of Nations (2008, 2010, 2012, 2013, and 2015). So 2017 makes it six consecutive semi-finals for Ghana. Yet they have progressed to the final on just two of the five previous occasions, losing to Cote d’Ivoire at the final in the last case in Equatorial Guinea 2015. The last time Cameroon and Ghana met at the tournament was back in 2008 and it was at this same level of the competition. Cameroon spoiled the Ghana-party, defeating the host-nation by a slim 1-0 victory but just to go on to “hand” the trophy to Egypt at the final. All the three actors of the 2008 experience are present in this new “Season” of the CAF “series”. The Cameroon team at this edition of the Africa Cup of Nations is somewhat lacking in star potential – no big-names like the team was renowned for having in the past. Most of the players in the squad are reaching prominence participating in this tournament. And apart from the goalkeeper, Fabrice Ondoa, none of the players has actually stood out at his post – as is revealed in the changes in the composition of the line-up in their past four games. Nevertheless, the Indomitable Lions have been phenomenal in their new-found solid collective and defensive performance. They have stayed focused on keeping it tight at the back and remaining as controlled as possible so as not to pick up common fouls around their vital area. And with this strategy, they are keeping the momentum unbroken as they take one game at a time towards the final. Ghana has a bit more up their sleeves in terms of quality, although captain and star-striker, Asamoah Gyan, could miss out again after he picked up an injury playing against Egypt. But they have the driving force in the “engine” of Christian Atsu and the striking force in the geniuses of the Ayew brothers. And they are sure to keep the cool-headedness they employed to see off the Congolese at the quarterfinals. Both Cameroon and Ghana have won the Africa Cup of Nations trophy four times: Cameroon won in 1984, 1988, 2000 and 2002; Ghana won in 1963, 1965, 1978 and 1982. 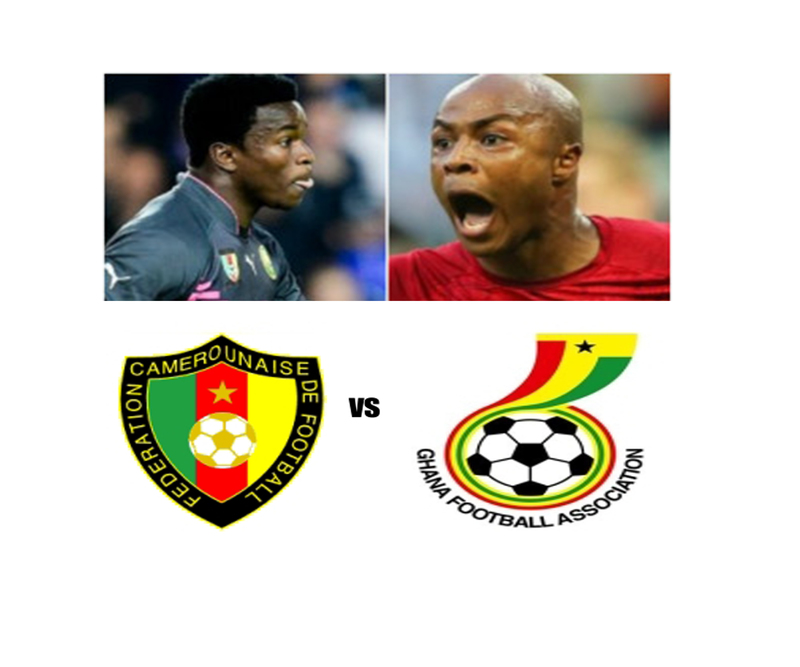 It is a long wait for both countries to win the trophy again – 15 years for Cameroon and 35 years for Ghana. This has fashioned their “appetite” for this accolade to be even bigger. And many fans of the game want to believe this long wait by both teams is going to serve the ignition of the fireworks spectators would love to see during the encounter on Thursday. The tournament is now blown wide open for both teams, with the winners of the semi-final game taking the one-big step that brings them closer to the coveted trophy. Previous articleWhere Are The Genius Ones? Which Of These Is The Correct Order?